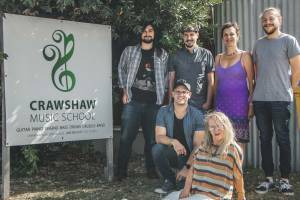 Hey there, my name is AJ Crawshaw and I have been a successful musician and music teacher on the Kapiti Coast for twelve years. Six years ago I opened a music school, which has been growing ever since, and our lessons now cover a growing range of instruments and styles. We are currently the largest provider of one on one lessons on the Kapiti Coast. Contact us today to book a free trial lesson.